Missouri's archaeological record reflects over 13,000 years of human adaptations to changing environments, technologies, and social and population conditions. Archaeologists have divided the overall sequence into a number of temporal "periods" based on identifiable large-scale cultural or technological changes. Pre-Clovis Some archaeologists accept this period and point to a few sites in Missouri with evidence for a stone tool technology that pre-dates Clovis point tool technology. Read about one site in Missouri with evidence for Pre-Clovis. Paleoindian (ca. 11,500–10,500 B.P. [Before Present]) The Paleoindian period is traditionally considered to represent the earliest human occupation in North America. Paleoindians probably lived as small bands of nomadic hunters whose quarry included now extinct large game such as mastodons, mammoths, and giant bison. Paleoindians probably followed animal herds, while also collecting nuts, berries, and other foodstuffs. At the onset of this period, glacial ice covered large portions of the North American continent. Read an article about a Clovis site. Dalton (ca. 10,500–9800 B.P.) The Dalton period represents the transition from the Paleoindian big-game hunting tradition to the broader hunting-gathering tradition of Archaic peoples. By this time, the glaciers had retreated and most megafauna had become extinct. 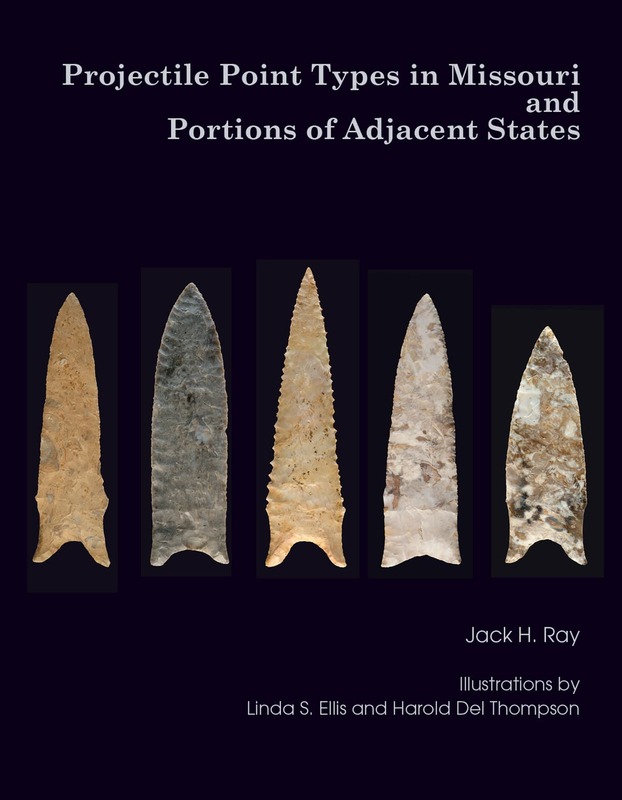 The Dalton point is ubiquitous in the later portion of the Paleoindian period. Read an article about Dalton sites. Early Archaic (ca. 9800–7000 B.P.) The subsistence base broadened as the climate warmed during the Early Archaic period. This increased utilization of fish, shellfish, waterfowl, small game, and wild plants led to diversification of Early Archaic tools such as grooved axes and grinding stones. Bands moved as plants and animals became seasonally available. Middle Archaic (ca. 7000–5000 B.P.) The Middle Archaic period was marked by a major climatic drying period (named the Hypsithermal Interval) throughout most of the central United States. Larger village sites in major river valleys that were occupied year round became more common. The first evidence for fabrics, basketry, and cordage along with new tool types appeared. Read an article about a Middle Archaic site. Late Archaic (ca. 5000–2700 B.P.) The drying period ended at the beginning of the Late Archaic. The earliest pottery in the Midwest appeared. Gourd and squash remains provide some of the earliest evidence for midwestern horticulture. Although not widespread, Late Archaic burial mounds occur in some areas of the state. Read an article about a Late Archaic site. Early Woodland (ca. 2700–2100) The Early Woodland period is poorly documented, although some evidence for campsites has been found in major river valleys. Ceramic vessels to prepare food are better represented at Early Woodland sites. Middle Woodland (ca. 2100–1550 B.P.) The increased use of pottery with varied decorative styles is evident at Middle Woodland sites. The number of year-round occupied villages and hamlets and the cultivation of plants increased. Burial mounds are more numerous. Late Woodland (ca. 1550–950 B.P.) The Late Woodland period is characterized by the introduction of the bow-and-arrow and the widespread cultivation of a number of plants. Typical site types include villages or hamlets along stream valleys with small earthen mounds and stone cairns located on overlooking hills and ridges. Late Woodland pottery styles are less varied. Along with population increases and more settled lifestyles, social organization evolved into even more complex tribal societies. Mississippian (ca. 950–350 B.P.) Complex social, political, and economic structures developed during the Mississippian period, coinciding with increased food production. Cahokia, near the confluences of the Mississippi, Missouri, and Illinois rivers, was the greatest cultural center in North America. Small notched triangular arrow points and shell-tempered pottery vessels in a variety of shapes are commonly represented at Mississippian sites. Around A.D. 1350, Oneota groups migrated south into Missouri. The Missouria Tribe, who lived in the Big Bend area in the Missouri River valley, have been linked to the Oneota. Read an article about a Mississippian site. Historic From the first European exploration to the Civil War, Missouri's historic archaeological sites consist mostly of early trading centers (Fort Orleans), river settlements (Ste. Genevieve, St. Louis, and St. Charles), and rural farmsteads. While pre-Civil War historic Native American sites are not common, tribes living in or passing through the state included the Osage, Otoe-Missouria, Iowa, Delaware, Shawnee, Kickapoo, Sac-Fox, Potawatomi, Peoria, and Cherokee. Others to immigrate included European Americans (French, Spanish, and English), and African Americans (free and slave). After the Civil War, historic sites reflect an increase in rural populations and farming. By the beginning of the twentieth century, the shift toward industrialization and urbanization began. Read an article about a Civil War site.